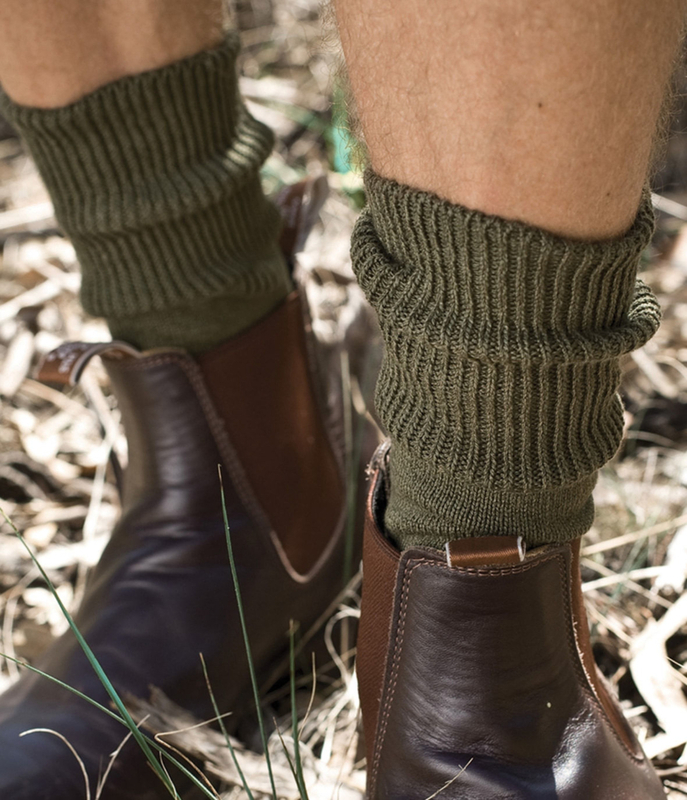 Our socks are made in Australia and New Zealand from soft merino wool, possum merino and alpaca. Alpaca and merino wool socks provide a comfortable barrier for your feet, regulate your temperature and control moisture and odour. Our merino wool socks are durable making them perfect for hiking, workwear, activewear and everyday wear. The warmest insoles in the world! Possum fur insoles squash down in your shoes creating the softest, warmest insoles for your feet. Possum fur does not freeze and instantly heats your feet, also eliminating odours. S/M: 26cm long L/XL: 30cm long Made in Australia from New Zealand Possum fur. This fine merino wool dress sock is excellent for business wear. It keeps feet warm and comfortable, but is fine enough to fit comfortably in most shoes. Extra nylon reinforcing gives longer wear. A Health Sock® with no tight elastic top. Contents: 60% Fine Merino Wool, 38% Nylon, 2% Elastane.